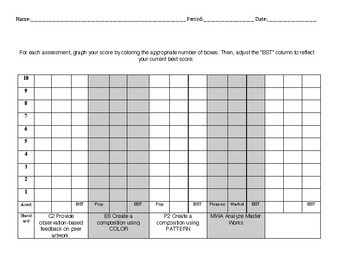 Student level tracker for a standards-based grading system. 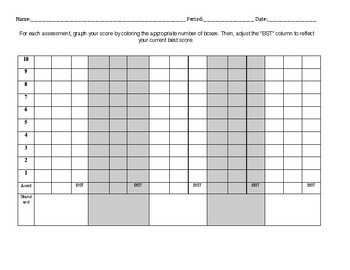 Students track their assessment grades using bar graphs, adjusting their "Best" score with each new assessment. 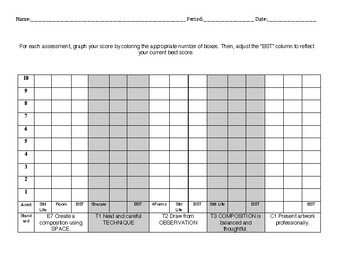 This is a tangible, visual way for students to understand which scores are going in the gradebook. 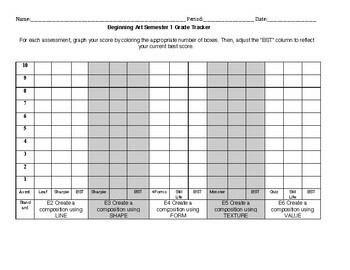 Students keep and use this tracker for the entire semester.